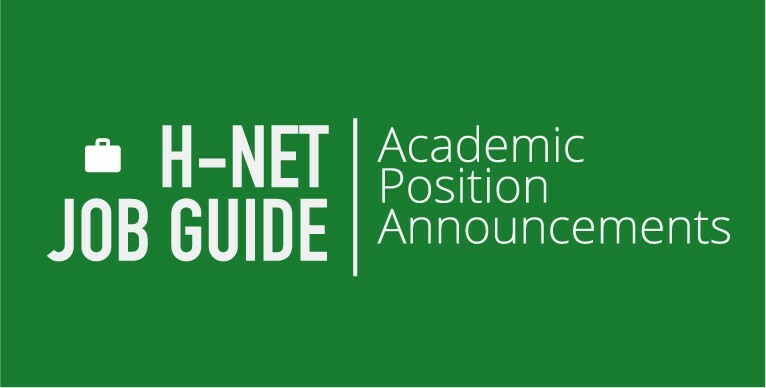 H-Net is an international interdisciplinary organization of scholars and teachers dedicated to developing the enormous educational potential of the Internet and the World Wide Web. Our edited networks publish peer reviewed essays, multimedia materials, and discussions for colleagues and the interested public. The computing heart and main office of H-Net resides at the History Department, Michigan State University, but H-Net officers, editors and subscribers come from all over the globe. Academic Announcements: an announcements system for academic events, archived, searchable, and distributed via email and web. 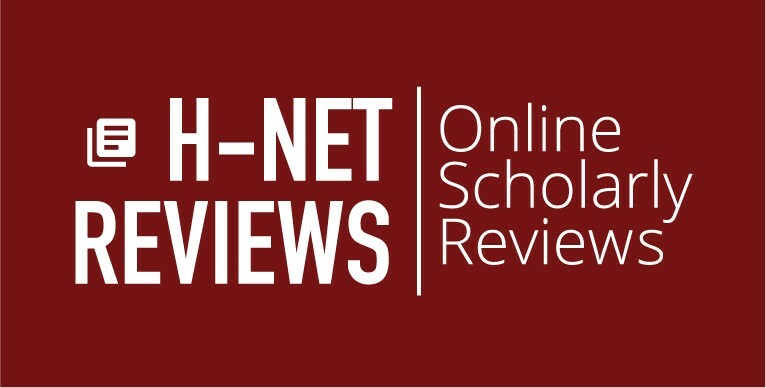 H-Net Reviews: the largest online professional reviewing archive, with approximately 46,000 free book reviews, offered under Creative Commons licensing, commissioned by professional review editors, written, edited, copyedited, and published in an original online system, cataloged by the Library of Congress, and available on web, email, and in PDF. The H-Net Book Channel is a new book announcement service from H-Net. Structured as a network on the H-Net Commons, the Book Channel publishes automatically updating lists of new books in a variety of scholarly categories. A work in progress, we are continually importing new publisher catalogs to help readers stay informed. Visit daily to find new lists of recently published academic titles sorted by discipline. 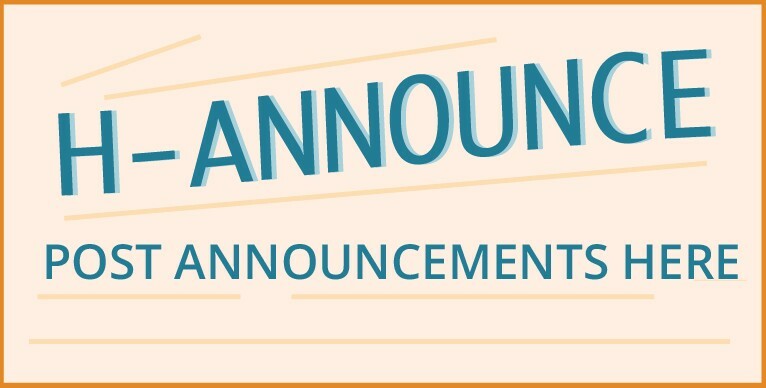 In Spring 2016, Book Channel will feature editorial content that will add scholarly perspectives to new book announcements. Commissioned essays, contributions from networks, syllabus modules, and other short-form scholarly and teaching-related content will contextualize new directions in academic research and publishing and connect them to larger public conversations. search for material across H-Net that has been categorized and tagged by editors and users for easy retrieval, bookmarking, and saving dynamic searches to My HNet. H-Podcast is a new network from H-Net all about podcasts, podcasting, and the place of podcasts in the academy. Readers can find new episodes of the H-Net podcast The Art of the Review, as well as other podcasts produced by H-Net networks, partnering producers, and suggested by subscribers across the Commons. 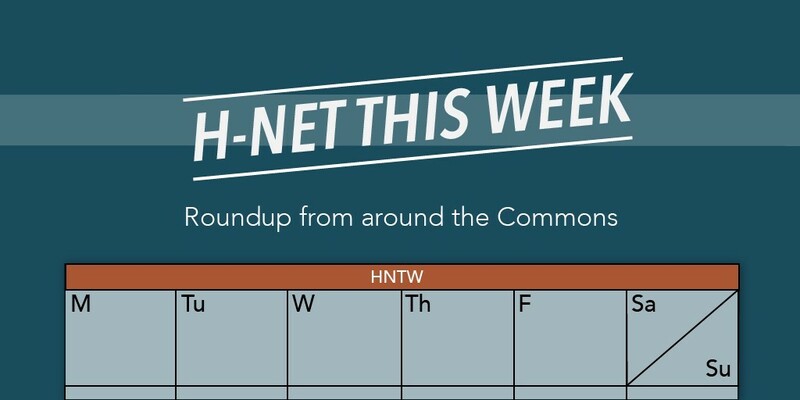 H-Net Hubs, such as the Gender, Race and Ethnicity, and Digital Humanities hubs, are a new way to browse the H-Net Commons. As our users discuss their areas of specialty on their networks the Commons becomes filled with content, and that content is of interest to many scholars who may not browse networks outside of their fields. Hubs provide a way to find that content. Browsing a hub allows you to find the content that is interesting to you and be linked directly to it, where you can read more or join in the discussion. H-Net Crossroads Networks allow editors from different networks to collaborate together to create content that spans across multiple disciplines, fields or specializations. The World War I Crossroads network, for example, is a collaboration between editors on the H-Net Commons dedicated to the scholarly study and discussion of World War I and the centennial commemoration of the conflict. H-SHEAR - Transactions in the Early American Republic: This static page provides a list of sources that publish a diverse set of scholarship that fall within the scope of members of the H-SHEAR community. H-Sport Journal Watch: The H-Sport Journal Watch monitors scholarly journals for articles that are of interest to sport scholars across many disciplines. H-Africa and H-Slavery recently completed two projects that pull and organize discussion threads that demonstrate how Editors can use their vast discussion log archives to revisit important historical themes and more. H-Africa's Discussion Thread Index lists a number of different threads organized topically. H-Slavery has created an indexed archive of a long-threaded discussion focused on the Definition of Slavery. Kentucky Woman Suffrage Timeline: An exhibit that tells the stories of activists working for Kentucky woman suffrage and their related activities. Votes for Women Trail Map: An annotated map generated from entries contributed by H-Kentucky subscribers. American Childhood in 25 Artifacts: This collection was assembled by the Children and Childhood Studies Area of the Mid-Atlantic Popular and American Culture Association (MAPACA) 25th annual conference. MAPACA is a regional association of The Popular Culture Association/American Cultural Association. Area Chairs Patrick Cox and Brandi J. Venable solicited artifacts of American Childhood to celebrate MAPACA's silver anniversary in a way that honors the past and looks forward to new ways to present it. 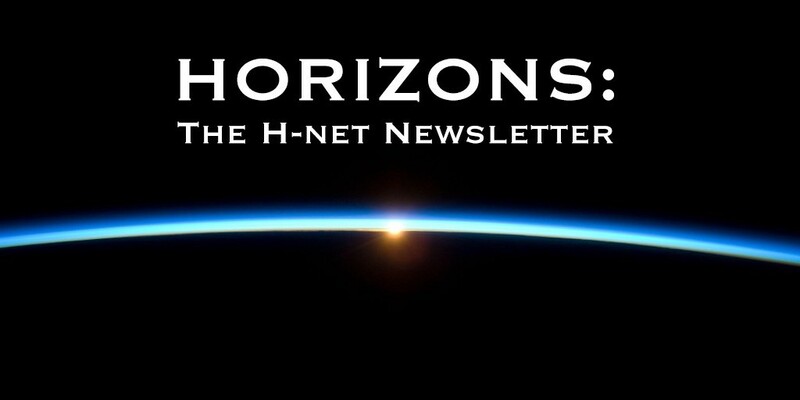 The Art of the Review will appear regularly on H-Net’s new podcast network, H-Podcast. We hope that the network will become a place for listeners, producers, teachers, and anyone with an interest to discuss the aesthetic, academic, pedagogic, and technical aspects of podcasts and podcasting. H-Democracy's Weekly Five: This blog lists the top five news stories related to democracy each week. H-Nationalism's Weekend Reading: This series of weekly posts highlights recent and thought-provoking reviews, blogposts, brief articles, and op-ed pieces of interest to the network's subscribers. H-Asia's Digital Asia Project: Digital humanities projects in Asian Studies, classified by region, by subject, and by intended use (teaching, research, other). Click on the titles for a brief synopsis for each site. the role of Kentuckians in that effort. You can find more information about the project and project leaders here. H-Russia OCR Bookshelf: The H-Russia OCR Bookshelf is an archive of hundreds of primary documents that have been scanned with Optical Character Recognition in order to provide searchable, full-text, research resources. All documents in this collection are in the public domain. H-Sport Archive Project: The H-Sport Archive Project provides information about archival collections held at non-sport archives that are of interest to sport scholars. H-German’s Research Resources: This collection of resources includes links to state and specialized archives, in addition to offering scholars a guide to the German Archives that are included on this page. H-HRE Archives and Research: This page contains links to archives, libraries, and other resources for scholars of the Holy Roman Empire. H-Kentucky - Kentucky Woman Suffrage Teaching Resources: This page provides resources for teaching about Kentucky Woman Suffrage efforts. H-Diplo: Syllabus Archive: This page offers a dynamic and growing resource for the teaching community that features sample syllabi from a range of courses. H-Urban Teaching Center: One of H-URBAN's continuing efforts has been to encourage discussion of teaching urban history and urban studies, including alternative approaches, methods, and tools. This center continues that effort by providing faculty and students easy access to the following in the hope that these provide ideas and information for work both in and out of the classroom. 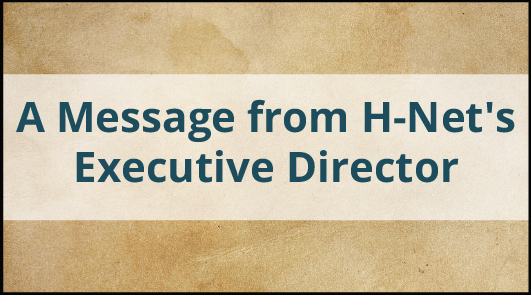 Please help us keep H-Net free and accessible with a tax-exempt donation. H-Net is classified as a tax-exempt nonprofit charitable organization under Section 501(c)(3) of the Internal Revenue Service Code, effective February 20, 2004. Your contribution may be tax deductible to the extent allowed by law. Please contact your tax advisor for further information. H-Net readers can now earn money for H-Net by purchasing titles directly from vendor links at our site. Learn how on our reviews page.